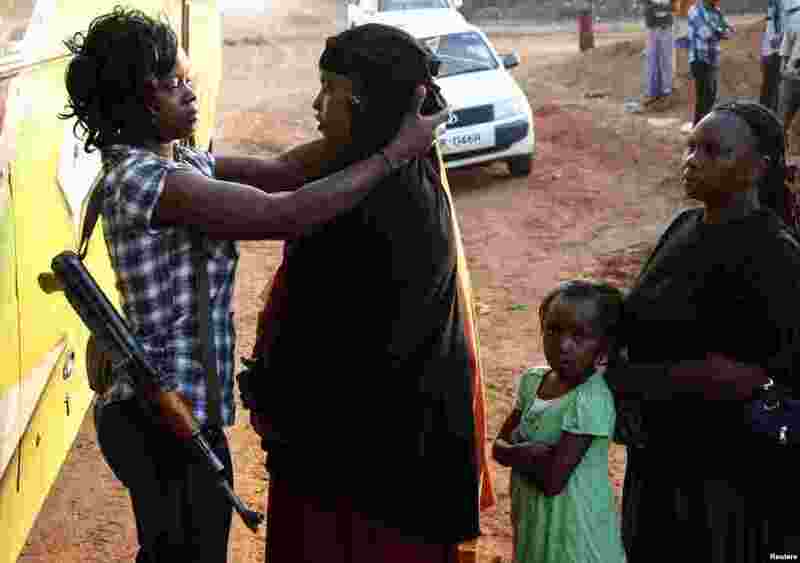 1 A plainclothes policewoman searches female passengers, travelling to Nairobi, for weapons in the town of Mandera at Kenya-Somalia border. 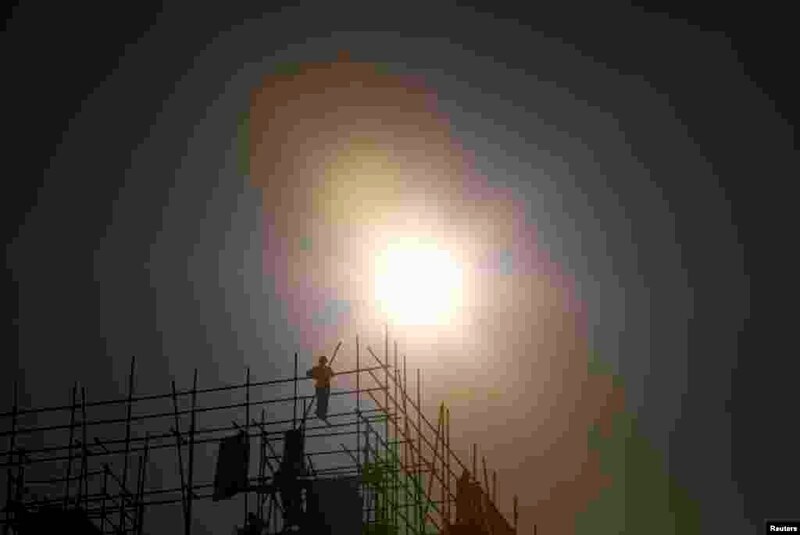 2 A laborer works on top of scaffolding at a construction site in Beijing, China. 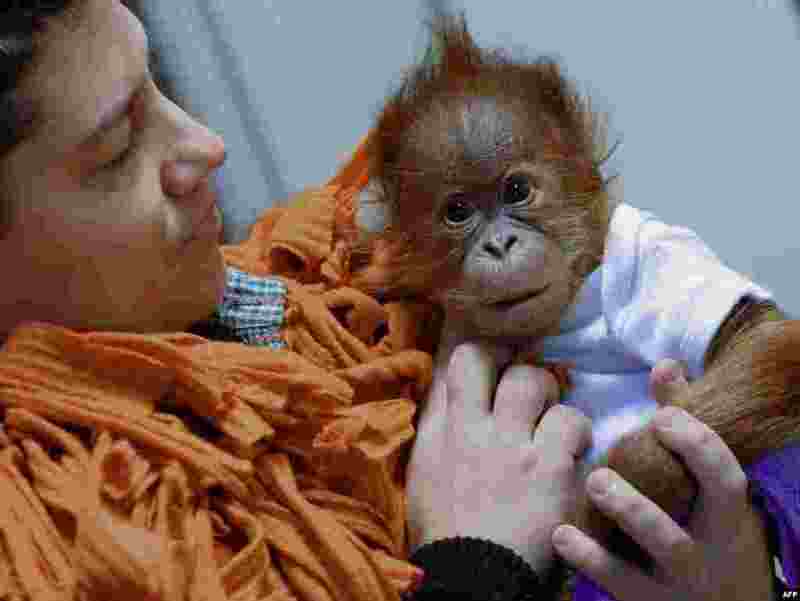 3 Three-month-old baby orangutan Bulu Mata is prepared to travel to his new home, the Monkey World of Dorset, United Kingdom, by his Hungarian nurse Bernedett Marschalko at the Zoo and Botanic Garden in Budapest. 4 Los Angeles city firefighters battle a massive fire at a seven-story downtown apartment complex under construction in Los Angeles, California. 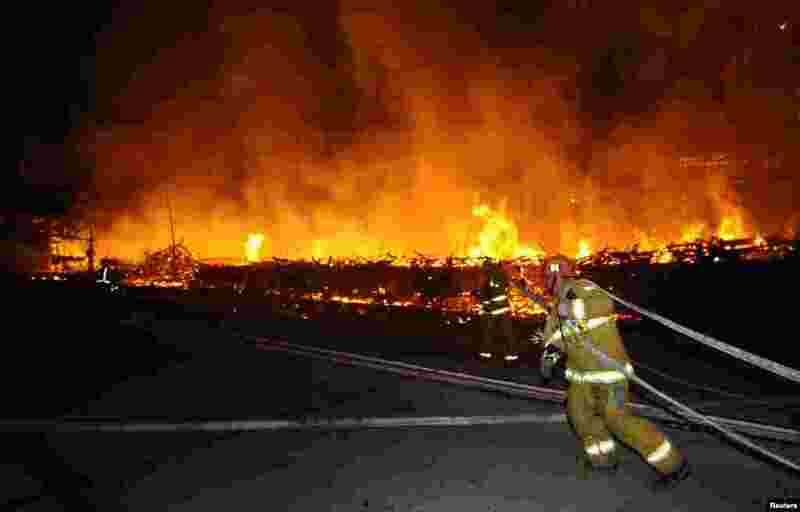 Over 250 firefighters battle the early morning blaze which shut down two major freeways, the Los Angeles Fire Department and California Highway Patrol said.